“Will the reforms brought by new government bring in job opportunities; if yes, then in which sector and how can we utilize the opportunity”? The toughest situation in your life arises when you are on the verge of completion of your 2nd Semester of M.B.A. and in 3rd semester you need to figure out which specialization to opt for? Probably you get confused while selecting the specialization and in a way you are right as the elective which you select isn’t just another subject but rather has a strong hand in defining your career. You need to be very clear about what to do as you have to make your career in the same and attain success in it. A general human tendency to find a concrete answer to any confusion is by seeking help from parents, friends or relatives. The biggest question over here is – Do you really find a solution? Or do you get more confused? The answer to former is a shaky ‘MAYBE’ but to the latter is a definite YES! We will try to find out the solution for the same. “It takes money to make money”, so the proverbial saying goes. Finance is the elixir that assists in the formation of new business, and allows businesses to take advantage of opportunities to grow, employ local workers and in turn support other business. There are many fields in which you can see good career prospect like Venture capitalist, Trade finance, banking, Investment banking etc. Venture capital is an area of finance that specializes in funding new companies and supports their expansion efforts. Trade finance helps in facilitating international trade. Bankers play an important role in the economic life of a nation. The health of an economy is closely related to the soundness of its banking system. It can help you make your career as a credit manager or relationship manager. Investment banks and their bankers help companies, governments and their agencies to raise money by issuing and selling securities in the primary market. They assist public and private corporations in raising funds in the capital markets (both equity and debt).They also provide strategic advisory services for mergers, acquisition and other type of financial transaction. The heart of any business success lies in its marketing strategy. The overall marketing umbrella covers advertising, public relations, promotion and sales. It is a process by which a product or service is introduced and promoted to potential customers. What if a company doesn’t do proper marketing? Will potential customers be aware about the product that the company is selling? Will the company be able to attain market share or increase sales without the same? Once any product, service or company gets on the radar of your prospects, it increases the chances of higher sales. It also acts as a Revenue generating unit for a company. There are various fields in marketing in which you can shape your career such as Market Research, Sales professional, Advertising and Product designing. Market research is vital for understanding the critical characteristics of company target market and helps in increasing Sales, profit and ROI. Sales department generates revenue for an organization. No matter how good your manufacturing operation is, how cutting-edge your technology is, how tight your financial goals are or how progressive and forward thinking your management techniques are, you must have a sales mechanism or everything renders useless. Advertising plays an important role in today’s age of cut-throat competition. Advertising has become necessary for every organization to get desired market share and build a brand value. Product design is cross-functional, knowledge intensive work that has become increasingly important in today’s fast paced, global competitive environment. Product design is a critical factor in organizational success because it sets the characteristics, features and performance of services or goods that consumers demand. We can conclude that you don’t become successful by choosing the right field. Both the fields are important for an organization and you can make a good career in either of fields, provided you have the required set of skills. If you are hardworking, dedicated and committed then you can succeed in any of the field and can achieve success. It doesn’t matter from which field you are, the only important thing is what you want to do. Whatever you want to do you need to give your 100 Percent, So that you succeed. After masters everything changes so it doesn’t matter where you have worked before. If you opt marketing than you will have better knowledge of product so you can do good in that. Hai iam doing my MBA stepping into 2nd year, my dream company is Ogilvy Mather i need to get good job in this company . 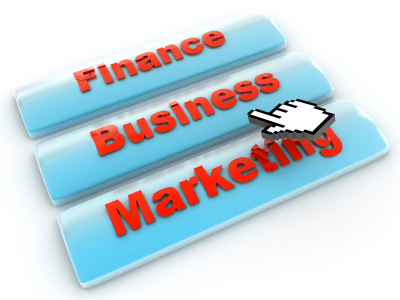 i have choose finance with marketing as my specialization but my doubt is that , can i do digital marketing or social media marketing as an extra course to get more knowledge . Please suggest me some ideas. You can do extra course it will also benefit you in your career, knowledge and getting a good job. Knowledge gained doesn’t go in vain ever. There will be lot of opportunities in Ogilvy Mather which suits your qualification.